Fermentation 101 - What Could Possibly Go Wrong? Many people would like to learn about fermenting food, but they wonder about the things that could go wrong. So in today’s podcast, my guest Karen Diggs and I address just that. 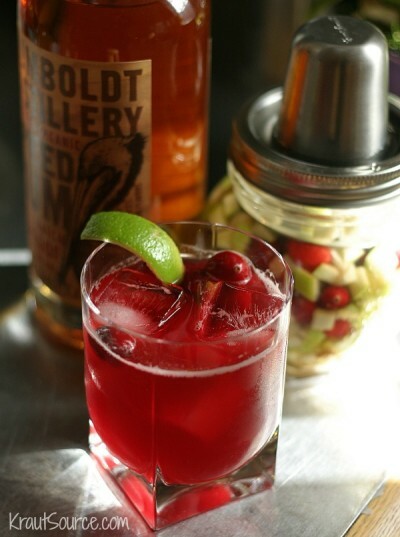 We take a simply delicious recipe of apples and cranberries and walk you through the process of fermenting it start to finish – From chopping the food to creating a colorful cocktail with the leftover brine. And along the way, we discuss all the things that could go wrong and how it’s not that bad! Fermenting food is really a safe process. This episode is longer than most, but it is jam-packed with some really great takeaway info. My guest on this week’s podcast was Karen Diggs. 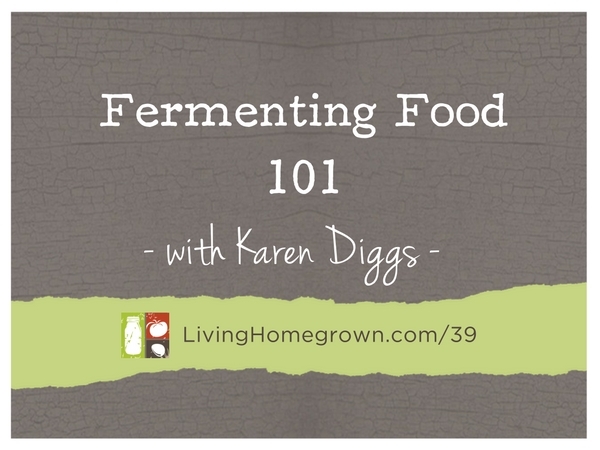 You may remember her from Episode 6 where we discussed the basics of fermentation and how it all works. Karen is a certified nutritionist, chef and food writer. What Can Go Wrong With the Ferment? So you are ready to make your first ferment. 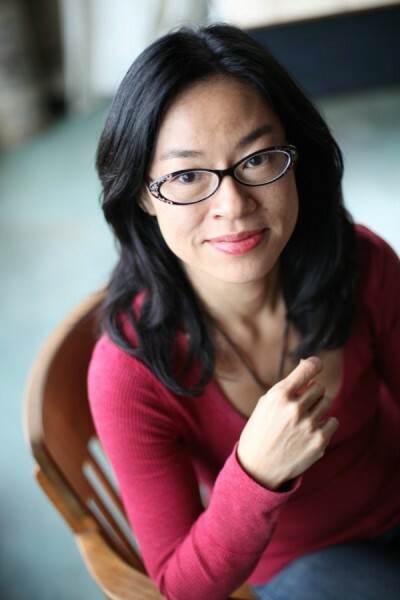 You mix up your first fermented recipe (you can get some of Karen’s small batch recipes here). You set it on the counter and you watch. First, don’t panic. Most of the things that feel odd are actually normal or they can be correctly easily. The most important thing to remember is that you should be checking your ferment every day. This is because if these things are caught early, they can be fixed easily without losing your fermented foods. But if left too long, things like mold can change the pH level in your container and that can lead to you losing a batch and having to throw it out. The trick is to catch problems early, fix them and move on. Let’s start with the elephant in the room, shall we? Botulism. The fear of getting botulism is usually the biggest worry of beginning fermentors. So, can you get botulism when you ferment?? The act of fermenting is creating an acid environment and the pH is such that botulism cannot grow or reproduce. But what about when you first start – BEFORE you create an acid environment. Can you get botulism then? That is why we start with salt in the brine. The salt makes an environment perfect for “friendly” bacteria and not so good for the “bad” bacteria. Salt inhibits the reproduction or growth of botulism spores. So, botulism is not an issue here. Here’s a list of some of the most common situations and what to do about them. This is a Kahm yeast layer and is harmless. But the Kahm should be skimmed off immediately and discarded. The food under it should be okay. Kahm yeast can happen if there is not enough salt, the ferment is too warm or the food had too much oxygen. This is mold. The biggest problem with mold is that if it is left long enough, it can change the pH of your mixture which can cause other problems. As long as it is white (and not brightly colored) and discovered early, you can skim it off immediately and continue with the ferment. But if you are a beginner or unsure or if you have a suppressed immune system, then you should throw it out and start over. It is really a judgement call based on the amount of mold and how long you think it has been there. Mold growth is usually a sign that there is too much oxygen. Using a sealed jar with a fermentation device (like an air lock, Kraut Source, or crock with a water seal) will keep the oxygen near the food to a minimum. All ferments have an odor and some ferments are just naturally…shall we say…MORE aromatic than others. It depends upon what you are fermenting. But the ferment should not smell putrid or rancid. Instead, your ferment should smell sour or like the food you are fermenting. If it smells putrid, it is a sign that the food has gone bad. Of course you don’t want to eat spoiled food, so you should throw it out and start over. This is normal. You want to see bubbles. It means it is fermenting. But don’t worry if you don’t see them. Sometimes those little guys sneak by us when we are not looking. As long as everything else looks okay and smells okay, it probably is okay. Having a cloudy brine is normal. Sometimes the salt you use can cause cloudiness. But sometimes just the process itself will create a cloudy appearance. This is normal. Sometimes the bacteria will accumulate and settle to the bottom of the container. Sometimes the salt you use can cause this. But either way, is should be okay. This usually is a sign of not having enough salt, the room being too warm or fermenting too long. It usually from the natural enzymes breaking down the pectins in the food. If the ferment still smells good and sour, it should be okay to eat. Some people prefer a mushy product. Others do not. If you don’t like mushy, you can start over but the food should be safe. If you are ever concerned about a ferment, you can always do a quick pH test to verify the acidity is still in the “safe” zone. You just dip a paper pH strip into the liquid and match the color to a pH chart. pH strips are fairly accurate. But if you shoot for having a pH number of 4 or lower, you are allowing for any discrepancies in the strip. A pH of 4 or lower is well within the “safe zone” and botulism is not an issue. Ready to fully dive in? I just love listening to your podcasts. I learn so much!